Understanding Egyptian Collections, part 1. At the beginning of September I attended the Understanding Egyptian Collections conference at the Ashmolean Museum. 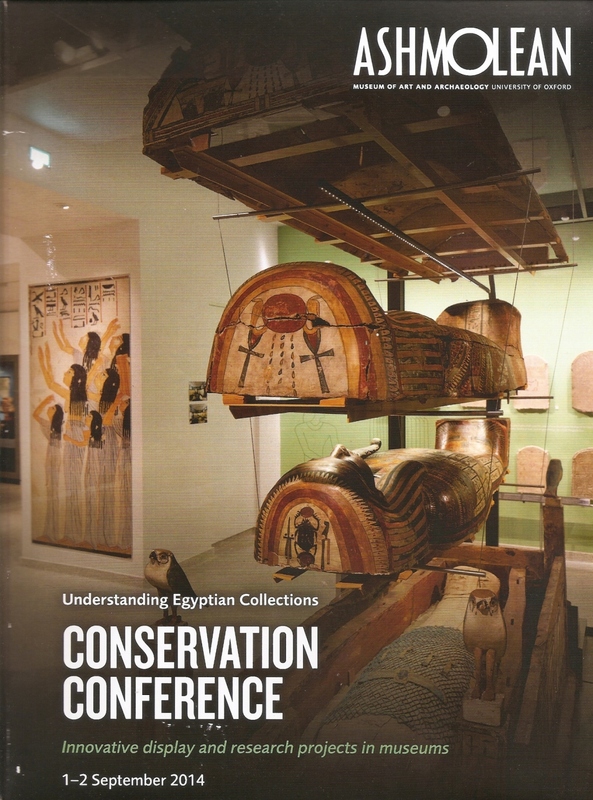 This two day international conference, organised by the Ashmolean’s Conservation Department in partnership with Oxford ASPIRE and ICON, explored innovative display and research projects in museums with a focus on conserving, displaying, understanding and interpreting Egyptian collections. Over the next few blog posts I hope to highlight some of the main themes from this conference. 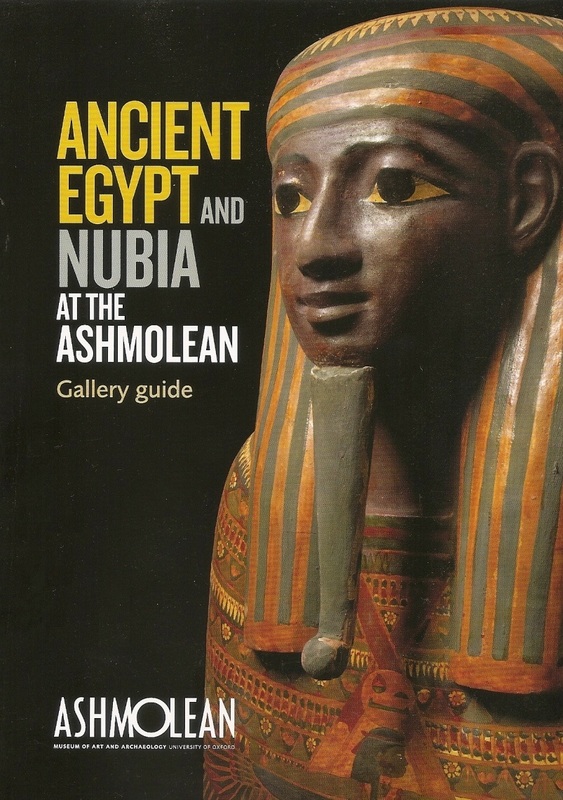 The first two sessions of the conference celebrated the Ashmolean’s ancient Egypt and Nubia galleries which opened in November 2011. Assistant Keeper for Ancient Egypt and Sudan, Liam McNamara, opened the conference with an overview of the collection and re-development. The 16 month refurbishment project gave the Museum an opportunity to improve showcases, lighting and environmental controls, as well as introduce a clearer layout to the galleries and new contextualising interpretation. The re-development was also instrumental in improving documentation and storage of the collection. Liam McNamara explained how the first three months of the project was spent packing and removing 35,000 objects from the gallery, some of which had been stored beneath the original showcases. The team created an ‘Egypt Decant Database’ to record objects as they were removed, unique barcodes were introduced to improve location control, and existing stores were refitted to provide space for decanted objects. The opening session provided a great insight into how the re-development of galleries can have a greater impact and legacy beyond what is seen on display. Richard B. Parkinson, Professor of Egyptology at the University of Oxford and Director of the Griffith Institute, provided the keynote lecture entitled ‘Egyptology Beyond the Institutional Divide’. Within this lecture, Professor Parkinson emphasised the importance of increasing inter-disciplinary relationships, bridging the gap between museum and academic spheres in order to overcome Egyptology’s institutionalisation and sometimes outdated 19th century paradigms. The intellectual relationship between the curator and conservator was highlighted as particularly significant, creating a dialogue that would allow a greater appreciation and understanding of an object’s physical materiality, as well as a vital step towards engaging wider audiences. In the Griffith Institute’s 75th anniversary year, it was poignant that collaborations between Egyptology and archives were also discussed, with the conclusion that such a wealth of documentation can help us to historicize not only individual objects but the entire discipline also. Marie Svoboda, from the J. Paul Getty Museum in California, introduced the new Ancient Panel Paintings: Examination, Analysis and Research (APPEAR) project. In collaboration with international partners, this four year study (2013-2017) aims to build a database for the comparative study of ancient mummy portraits, and similar material types, in collections around the world. The team have estimated that there are at least 1,028 mummy portraits in museums and private collections world-wide, and they hope that this study will allow researchers to compare examples in terms of historical and contextual information. In addition to the online database the project team is planning a conference in 2017, including practical workshops, and there is even the possibility of an exhibition to present and discuss the findings of the study. Jennifer Marchant and Abigail Granville, from the Fitzwilliam Museum, spoke about their on-going project to analyse the pigments used on ancient Egyptian coffins. This presentation focussed on their use of Fibre Optic Reflectance Spectroscopy (FORS), a non-invasive means of identifying organic and inorganic pigments. The speakers highlighted the benefit of FORS as an initial assessment: this surface technique is non-invasive and portable, it carries low risk to the object with low, brief light exposures, it can identify pigments both on their own and in mixes, and has the potential to analyse binding media and coatings, albeit beyond the scope of this project. The results of this research will provide technical evidence to support the Fitzwilliam Museum’s forthcoming exhibition ‘Death on the Nile’, planned for Spring 2016. Mohamed Gamal Rashed, Museum Display and Research Director for the Grand Egyptian Museum project, introduced current designs and concepts behind some of the permanent galleries under development. The talk focussed on two permanent introductory galleries: the meet-and-greet gallery and the grand staircase, a vertical display space showcasing key ‘discovery’ objects. The Museum aims to unite Egypt’s past and present, explore matters of Egyptian identity and highlight Egypt’s responsibility in protecting its own heritage. The Grand Egyptian Museum, one of the largest museum development projects in the world, is currently under construction and is due to open in 2017. ← Interpreting Egyptian Art, The British Museum.